Here is Hank, he’s one of the four horses rescued out of Austin County a couple months ago. His foster Mom fell in love with him and has decided to adopt. He’s a very good boy and comfortable under saddle too! If you’d like to adopt one of our horses take a look at them and email help@t-bar.org with any questions you might have. 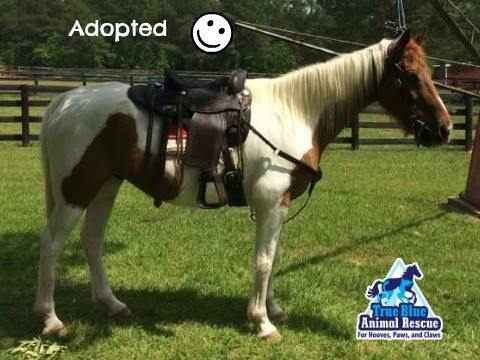 Posted in Horse Success Stories and tagged adopted, Happy Tails, Horse, Success Story, TBAR.